St. Mary and St. George have raised over £400 since lent this year. Recently they have done a sponsored slim, plant stall and are hoping to start a fruit and veg box over summer, all in aid of CAFOD. I am sure all reading this like ourselves are inspired by this fantastic fundraising. So why not get involved yourself, are you or do you know any budding slimmer’s or people with green fingers or other creative talents together you can make a real difference to lives of our sisters and brothers around the world and put your faith into action. It does not need to be anything complicated a simple stall at the back of church with an honhesty box will do. 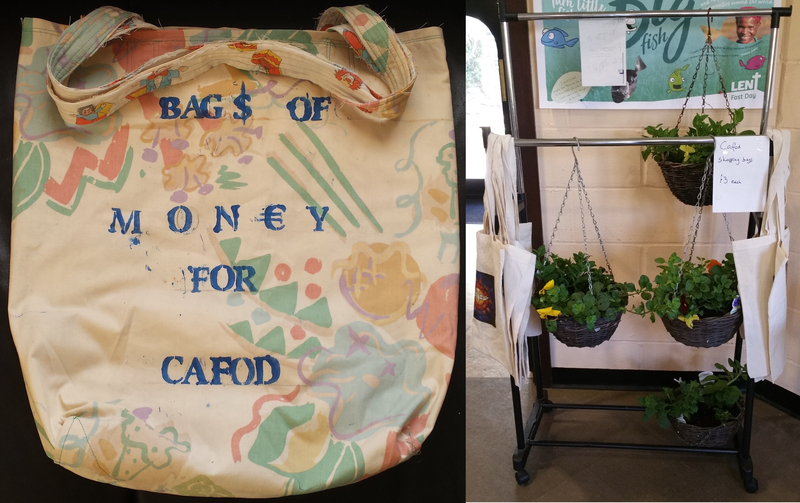 CAFOD is a charity built upon the values and teachings of Catholic faith; volunteering with CAFOD can be an expression of faith, especially in the Year of Mercy. Elouise Hobbs reflects on these thoughts at the end of Volunteers Week. During the Year of Mercy, I have been reflecting on the tireless work of our volunteers to change the lives of people who live in some of the poorest communities in the world. Our volunteers bridge the gap to help solve the poverty crisis’ by praying, acting and giving in so many different ways. Volunteers Week is a perfect time to say thank you and look at how the Jubilee of Mercy calls us to act.